Ottmar Hitzfeld won the Bundesliga title five times as FC Bayern München coach, and twice while in charge of Borussia Dortmund. Having won the Bundesliga title as coach of both FC Bayern München and Borussia Dortmund, few can match Ottmar Hitzfeld’s knowledge of Germany’s top flight. Speaking exclusively to bundesliga.com, the 66-year-old analyses the season so far, looks at Bayern’s development this term and is full of praise for two of the league’s newest members. bundesliga.com: Ottmar Hitzfeld, which teams have surprised you so far this season? Ottmar Hitzfeld: The two promoted teams primarily, as they’ve both given a very good account of themselves. In my opinion, both Ingolstadt and Darmstadt are good additions to the Bundesliga. As underdogs, they have adapted to the league very well and very quickly. That’s undoubtedly a motivation of sorts for the rest of the Bundesliga 2 teams, who can see it’s possible to achieve something in the top flight. It’s important to lay down a marker. They’ve done very well. bundesliga.com: How would you summarise the first half of the season of Bundesliga leaders FC Bayern München? 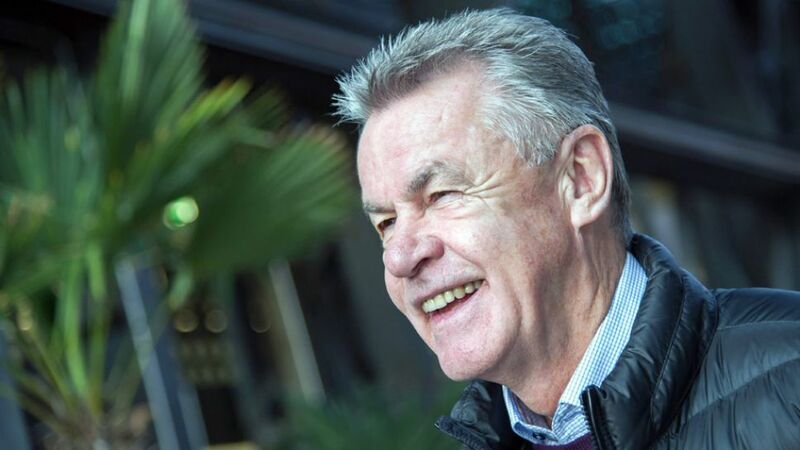 Hitzfeld: Bayern are just as strong as they were last season. Obviously Pep Guardiola’s had a lot of players injured, but the depth of the squad is unbelievable. That’s meant he’s been able to cope with the injuries without any problems. Even if four or five players are missing you have the feeling that the team is complete as soon as you see the starting line-up. I believe Bayern not only have the strongest substitutes’ bench in Germany, they have the strongest in Europe.